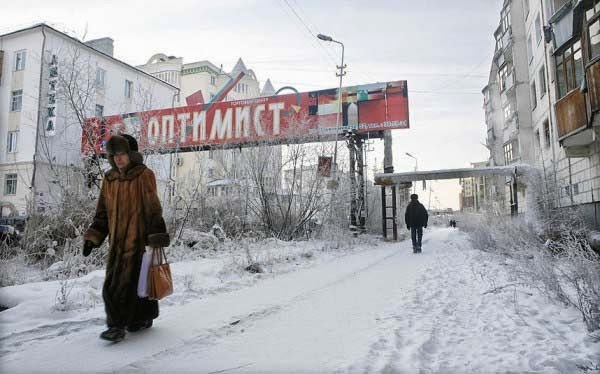 Home / asia / cold / russia / sakha republic / temperatures / wather / yakutsk / So There’s A City In Russia Called Yakutsk. And If You Visit It Once, You’re NEVER Going To Forget It. 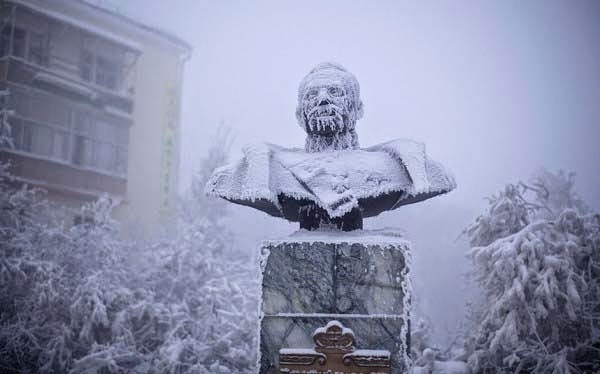 So There’s A City In Russia Called Yakutsk. And If You Visit It Once, You’re NEVER Going To Forget It. 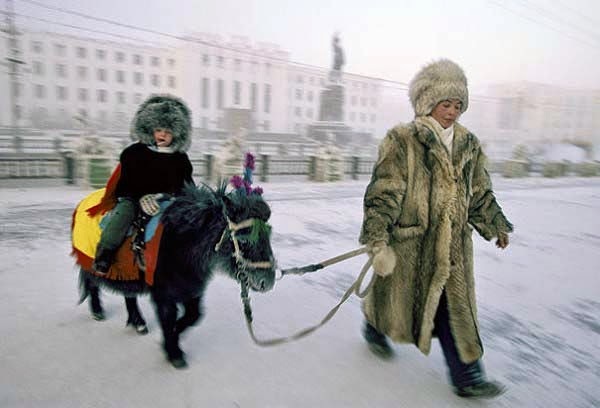 If your city has “yak” in its name, then you probably know you’re not in for a good (or warm) time. 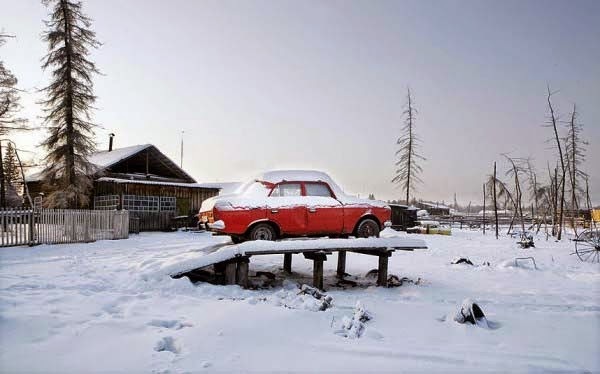 Yakutsk is the capital city of the Sakha Republic, Russia, located only 280 miles south of the Arctic Circle. 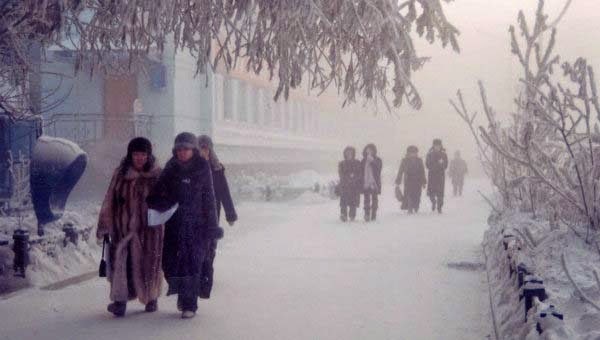 That means that every single person that lives in Yakutsk has to survive subarctic temperatures. 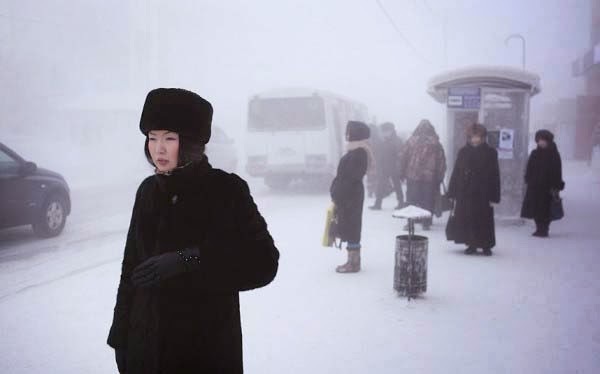 Yakutsk has been recorded as the coldest city on earth… and has officially been recorded in my travel journal as the last place I would ever want to go. 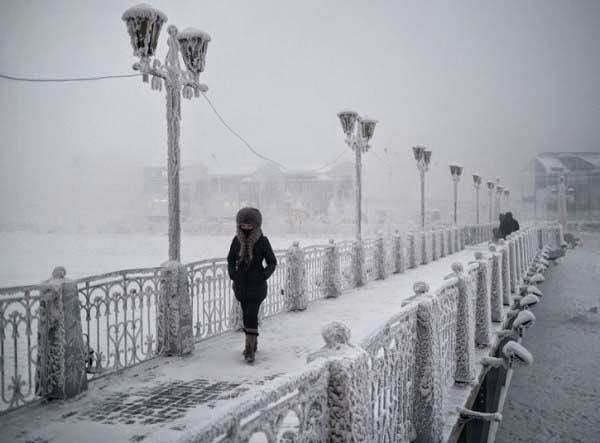 Although the cold city is beautiful, its bitter temperatures could frighten away most visitors. 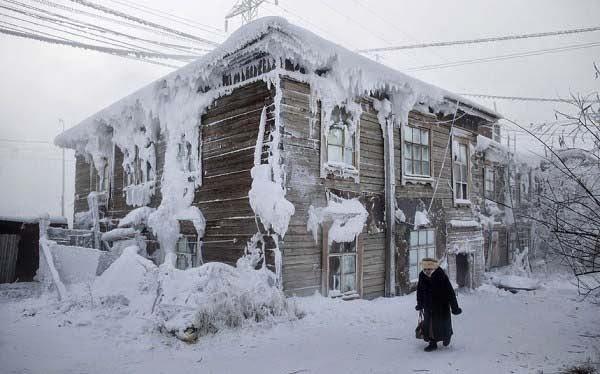 During the winter, even the toughest residents of Yakutsk won’t stay outside for longer than 20 minutes. 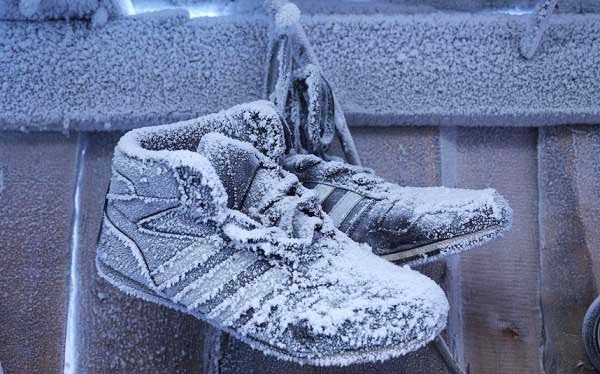 Staying inside is how you survive the winter in this frozen city. 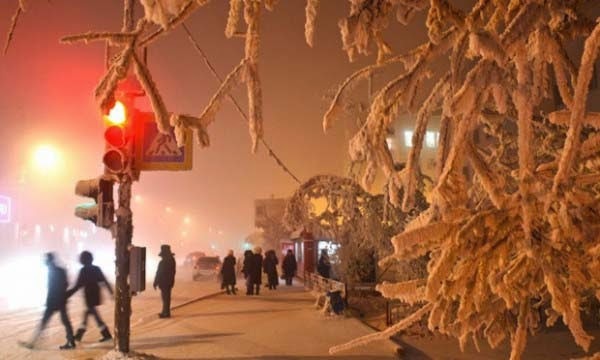 Not only is it the coldest city, but Yakutsk also experiences the most severe temperature changes over the course of the year. Average monthly temperatures range from 67.1 °F in July to −37.5 °F in January. Those with cars keep them in heated garages, covered in blankets. They also wrap the batteries, insulating them from the cold. 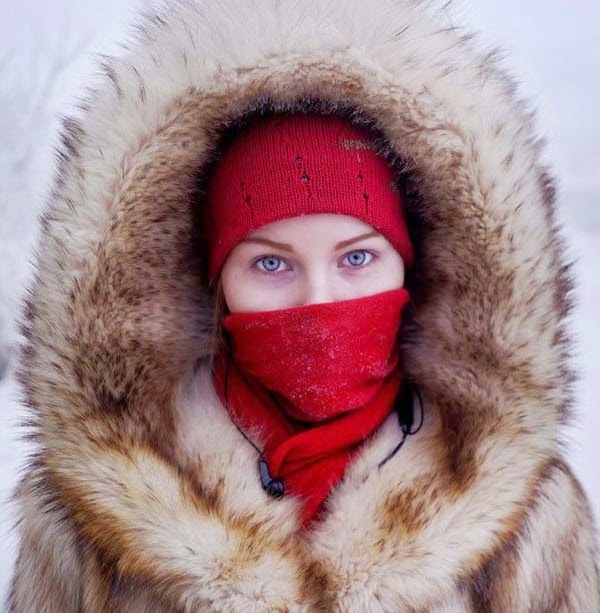 The majority of residents wear fur (and they wear it in layers). 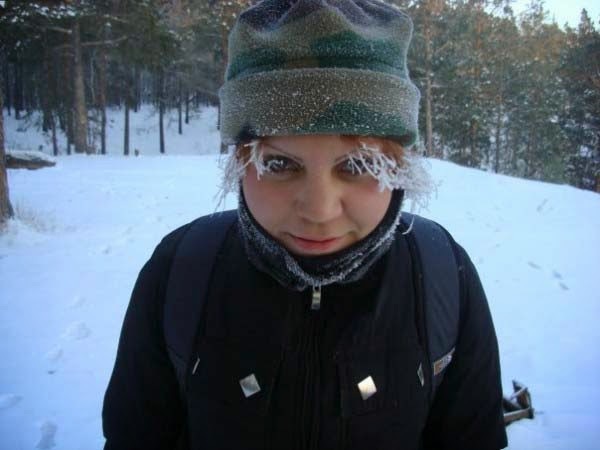 Getting frostbite or dying from exposure is a very real threat in this city. At least there aren’t many pest problems. Locals warn visitors about wearing glasses outdoors (it’s not a good idea). The tough locals love to boast about the amount of lakes in the region and the fact that locally every element in the periodic table can be found. They can actually SURVIVE living here. 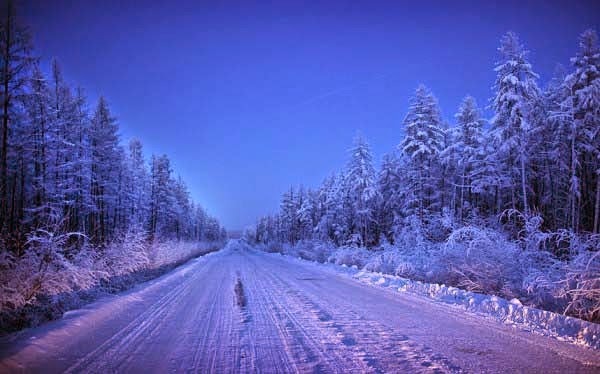 The cold wild city is beautiful, but only the brave or adventurous dare travel there. Just staying in the hotels, you have to wear layers to bed. This place is never going on my bucket list, but I’ll be content to admire it from afar. On a beach. In the sun. I Thought Winter Where I Live Was Tough… Then I Saw This SNOWPOCALYPSE. Unbelievable.